Twenty years after the publication of The Cult of jagannath (Eschmann, Kulke and Tripathi eds. 1978, Manohar), a conference was held in Heidelberg. Germany, at which some of the past foci of orissan research were reconsidered. By thus ‘revisiting Jagannath’, it was considered whether, in what respect and to what degree a shift in methods, theories, paradigms or intellectual -interests has taken place during the past two decades. The articles published in this book represent rewritten versions of papers held at this conference. They include contributions from social anthropology, history, Indology, religious studies, archaeology and political science discussing topics as diverse as religious practices among orissan adivasis, the renewal of the body of Jagannath, the history of Mahima Dharma sect, the ritual politics of a Dhenkanal village, and the rebellious attitude of a Jungle king. Compared with the Jagannath volume of 1978, a certain shift in interest can be discerned, away from the centre and the dominant groups to (apparently) peripheral or marginal areas or groups. 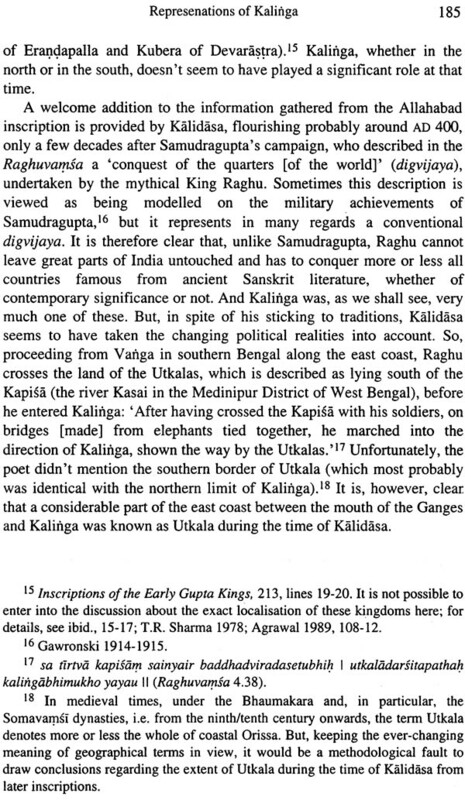 Thus, for example, the present volume features contributions on little kings rather than the Gajapatis, on west Orissa rather than the central Mahanadi delta, on fishermen rather than Brahmans, and on village cults rather than the Puri temple. And even where Jagannath is re-investigated, it is his worship by subaltern groups rather than the scriptural, orthodox view that is the present focus of study. Burkhard Schnepel is Associate Professor and Acting Director of the Institute of Historical Ethnology at the Goethe University in Frankfurt am Main, Germany. He has conducted extensive fieldwork and archival research in Orissa. 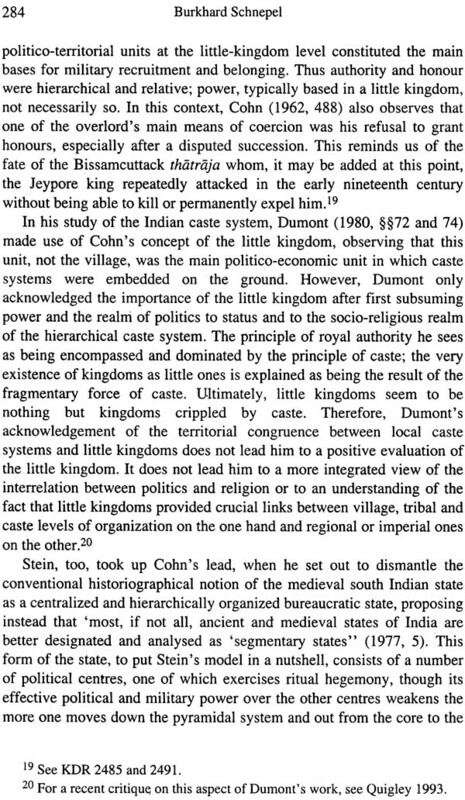 His habilitation, submitted to the South Asia Institute of Heidelberg in 1996, was on the ethnohistory of the Jungle kingdoms of south Orissa (to be published as The Jungle Kings by Manohar, Delhi in 2001). Other publications include Twinned Beings (Gothenborg, 1995) and 'Durga and the King' (in Man, 1995) At present he is heading two research projects on village theatre in Orissa and on the perforrnative construction of Identity among subaltern groups in Orissa. Hermann Kulke is Professor of South and Southeast Asian History in the Department of History, Kiel University For 21 years he taught at the Southasia Institute of Heidelberg University. He was founder-member of the Orissa Research Project of the Southasia Institute (1970-5), Visiting Professor at Utkal University, Bhubaneswar (1978/9), Asiatic Society, Calcutta (1986) and Jawaharlal Nehru University, Delhi (1992). He is the author of Cidambaramahatmya (1970), Jagannatha Cult and Gajapati Kingship (1979 both in German), co-author of A History of India (1986, with D. Rothermund), co-editor of The Cult of Jagannath and the Regional Tradition of Orissa (1978, with A. Eschmann and G.C. 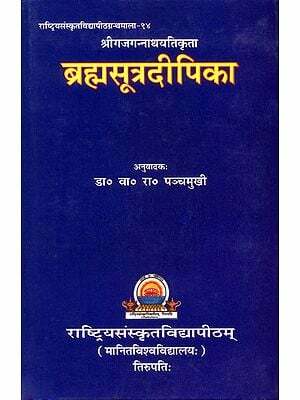 Tripathi) and of Hinduism Reconsidered (1989, 2nd ed. 1997), With G.D Sontheimer) and editor of The State in India 1000-1600 (1993). 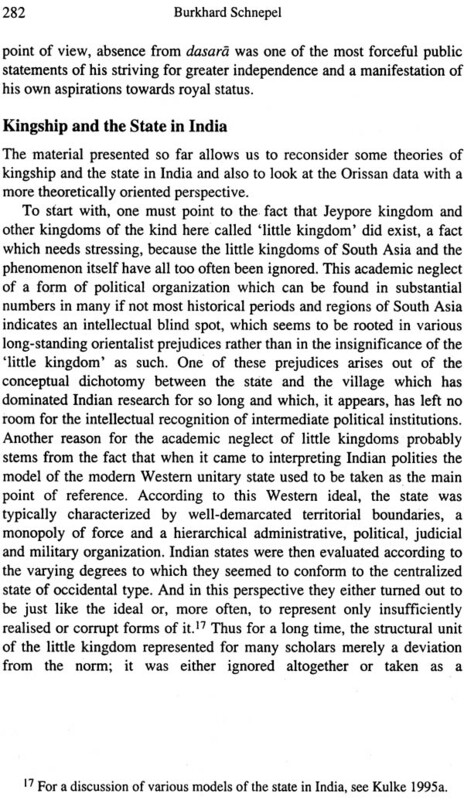 In June 1997, a group of German and Indian scholars assembled at a conference in Heidelberg held on the topic of 'Jagannath Revisited: Studying Society, Religion and the State in Orissa'. In planning this conference, its organizers (the editors of this volume) felt that it was time (1) to reconsider some of the past tenets and foci of research on Orissa, (2) to see in what respects a shift in methods, theories and paradigms has taken place in recent years, and (3) to discuss possible future lines of research. The articles reproduced in this volume are extended and rewritten versions of the papers presented at this conference. Most of them are indebted to the findings of the 'Orissa Research Project' conducted by the Southasia Institute in Heidelberg between 1969 and 1977, and they thus exemplify continuity in research themes and methods. However, in them there appear also a number of new themes, insights, data, theories and forms of questioning. In order to enable the reader to get a clearer idea about this two-sided character of the conference and of the studies presented here-their acknowledgement of continuity and indebtedness to former research as well as their opening up of new fields and forms of questioning-the following introduction will address two main distinct, though interrelated topics. Firstly, for a book based on a conference which 'revisited' Jagannath, more than twenty years after the former Orissa Research Project presented its final report,' we thought that it will be insightful to retrace the tremendous proliferation of history of research on Jagannath. 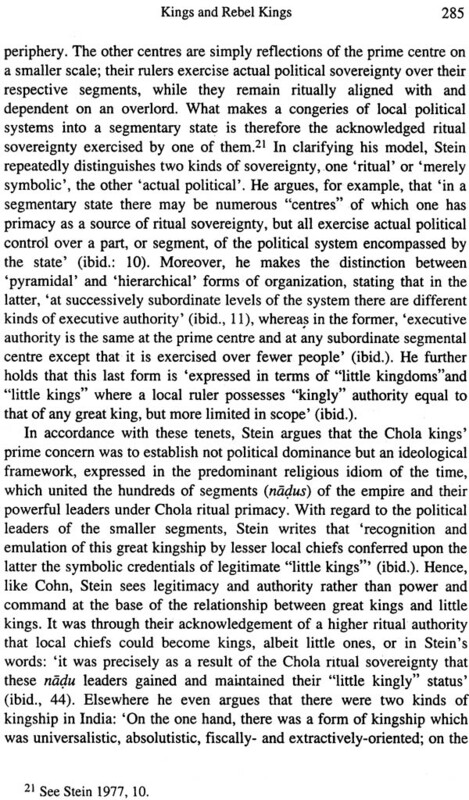 This intellectual history will be outlined in the section to follow, which was predominantly prepared by H. Kulke. Secondly, we also thought it necessary to address and characterize the changes that have taken place in more recent studies on Orissan society, culture and history. Furthermore we felt the need to look ahead and discuss in which directions Orissan research could fruitfully continue to proceed in the wake of the recent changes. These matters are addressed in Section III of this introduction, predominantly prepared by B. Schnepel. There, readers will also find short introductory comments on the papers that are presented thereafter in this volume. Since the early nineteenth century, after the conquest of Orissa by the East India Company in 1803, Puri and its Jagannath cult have been dragged into and appropriated by the colonial discourses, as 'Juggernaut' by Evangelicals and Utilitarians and as a pan-Indian deity of alleged Buddhist origin by Orientalists like A. Cunningham and W.W. Hunter. The final version of the 'imperial' view of the cult of Jagannath is nicely manifested in O'Malley's Puri Gazetteer. It stresses the all-Indian, primarily Buddhist background of Jagannath, alludes shortly to the tribal origin of his 'crude image' and finally at least concedes that 'not unnaturally, Jagannath has a secure place in the affections of the Oriyas'. In the late nineteenth and early twentieth centuries Jagannath emerged as a national symbol of the Oriya Movement and was glorified by Orissa's great poets and by the early 'national historians' of Orissa like Jagabandhu Mishra. 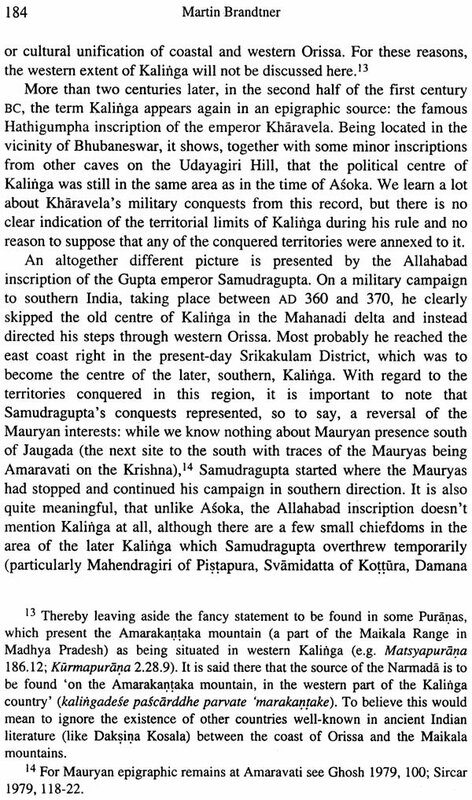 But nearly no research on the cult of Jagannath existed yet in Orissa. Throughout this time historical research on Orissa was dominated by Bengali historians like M.M. Chakravarti, R.L. Mitra, R.D. Banerji, M.M. Ganguli and, since the 1940s, RC. Majumdar and D.C. Sircar who produced the first modern works on Orissa's culture and history. 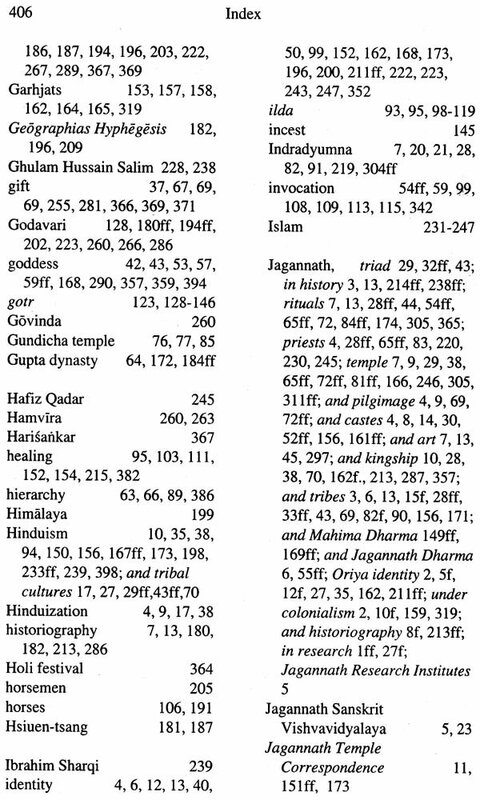 The great exceptions were P. Acharya and in particular Pandit Binayak Mishra and his two small but excellent epigraphical studies of the years 1933/34 on the early medieval dynasties of Orissa which, however, do not refer to Jagannath. In 1969 and 1971 two major events had a deep impact on the emerging Jagannath studies in Orissa. On the occasion of the foundation stone laying ceremony of the Jagannath temple at Delhi in December 1969 two small souvenir volumes were published. They constituted the first anthology of short research papers on Jagannath by Orissan scholars, particularly by S.N. Rajaguru, K.N. Mahapatra, P. Mukherjee, K.C. Mishra. Moreover, in 1969 a very popular Oriya novel Nilasaila by S. Mohanty on Ramachandra II of Khurda and his desperate struggle against the Mughal subahdar won the Orissa Sahitya Akademi Award. 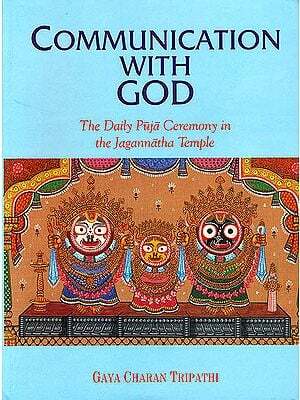 In 1971, Mishra's Calcutta Ph.D. thesis of the year 1965 was published as the first scholarly monograph on Jagannath. 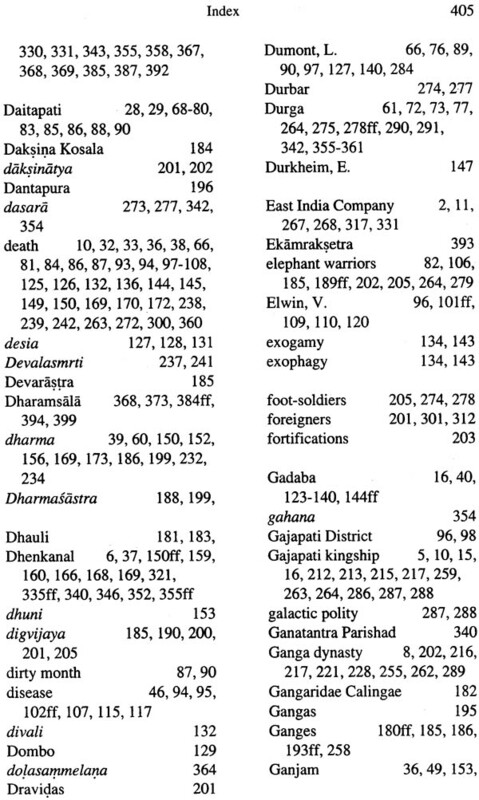 A trend which had already appeared in previous papers in the Orissa Historical Research Journal and in the Shree Jagannath Smarika emerged fully in Mishra's monograph. It stressed the indigenous religious, historical and social roots of the Jagannath cult by tracing its relations with various tribes, dynasties and religious movements in early and medieval Orissa. In a nutshell these themes constitute the research agenda of what could be called the 'Oriya School of Jagannath Studies'. Its research was based primarily on a scholarly analysis of epigraphical and literary sources on the one hand and on often rather speculative inferences about Jagannath's tribal origin on the other hand. Religio-historical and anthropological field work-at least in the context of the Jagannath studies-among the tribes of Orissa, in Puri's hinterland and even among the priests of Puri was still unknown. It was this situation in which the former ORP began its studies on the cult of Jagannath. 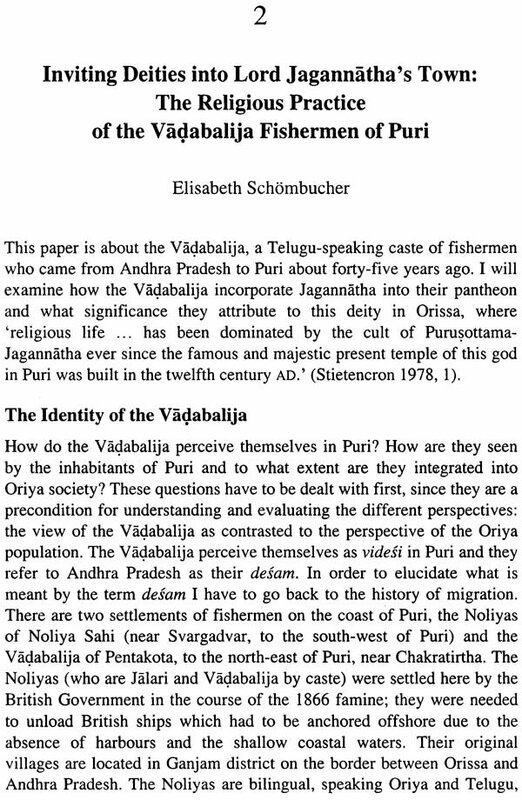 In its attempt to undertake a comprehensive and interdisciplinary study on Puri and its cult it was strongly influenced by the 'Oriya School of Jagannath Studies' and in many ways followed its research agenda although in some cases it came to different and sometimes even controversial conclusions, e.g. concerning the final establishment of the Jagannath triad. But at the same time it enlarged the scope of research in Puri itself as well as in its hinterland and introduced new theoretical issues, and often by means of hitherto neglected research disciplines. Thus, for instance, a thorough and systematic study on the tribal, legendary and religio-historical origins of the cult, its Vaisnava philosophy, the daily rituals and Puri's pilgrimage organization, temple economy and Brahmin sasana villages and on the spread of Jagannath to the hinterland were undertaken in the framework of theoretical concepts like Hinduization, state formation and the growth of regional identity. 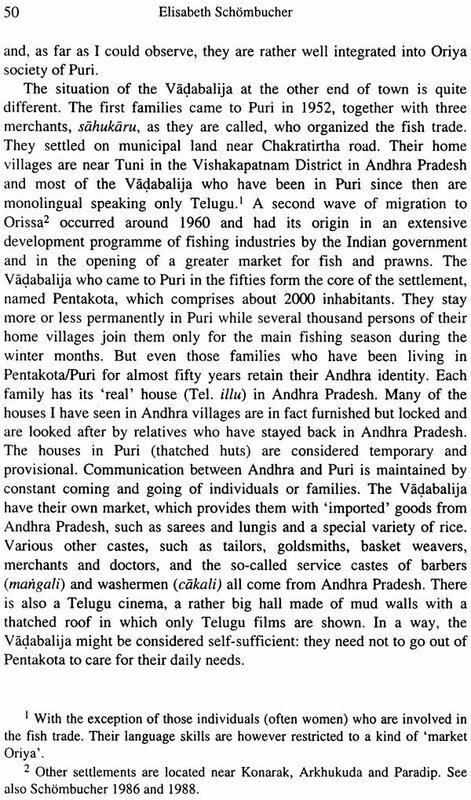 At a time when the socio-cultural discourse in India was still dominated by Redfield's and Srinivas' dichotomic concepts of 'the great and the little tradition' and 'Sanskritization', the ORP introduced the concept of the regional tradition which forms the central portion of an uninterrupted continuum linking the world of India's villages with the great pan-Indian tradition. The tremendous proliferation of Jagannath research till today had its origin in the emergence of the 'Oriya School' in the early 1970s. 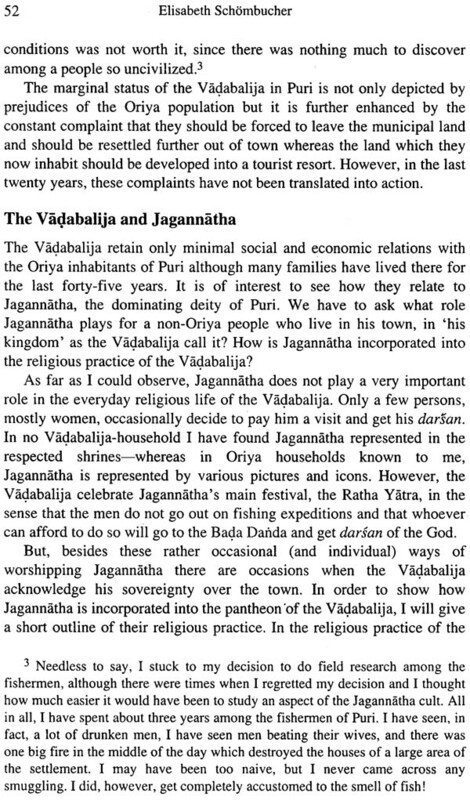 It gathered momentum in the late seventies with the publication of Nityananda Patnaik's 'Cultural Tradition in Puri' (see below) and the final report of the ORP; it culminated in the publication of an almost inconceivably large number of books devoted to Jagannath since the mid-1980s. This development led to a diversification of research foci and methods. Roughly speaking, there exist at least three groups of researchers: the 'Oriya School', an intermediate group and a group of theory oriented scholars. Although these groups were interlinked with each other by various fields of mutual interest and overlapping realms of research, they have their own and sometimes quite' contested identities'. The 'Oriya School' continues the work of its founder fathers and follows a meanwhile canonized research agenda of compartmentalized religio-historical, social, art and architectural and literary themes. Its main outcome is the publication of a large number-more than a dozen during the last two decades-of monographs and anthologies on the cult of Jagannath. Some of these publications focus, at least partly, on hitherto neglected subjects, e.g. on the car festival and Nabakalebara, sevakars, sectarian leaders and monasteries in Puri, on the Jagannath cult under the great Suryavamsi Gajapatis and the Khurda dynasty, or on particular religious texts of Puri, like the Purusottama Mahatmaya and the Niladri Mahodaya. Another great contribution is the edition and translation of newly discovered temple inscriptions of Puri by Satyanarayan Rajaguru. The dominant position of the 'Oriya School' has been further strengthened through the foundation of a number of private and government sponsored research institutions, e.g. the Jagannath Sanskrit University (Sri Jagannath Sanskrit Vishvavidyalaya), the Sri Jagannath Research Centre at Puri and the Sri Jagannath Research Institute at Bhubaneswar with its own journal Sri Jaganniith, The Temple administration publishes regularly two journals, Sri Mandira and Neeladri. These institutions, too, organize conferences on the cult of Jagannath and Oriya culture. Their souvenir volumes and proceedings depict the state of the art of Jagannath research of this school and have become a most important medium of popularizing Jagannath research among the urban elite of Orissa. 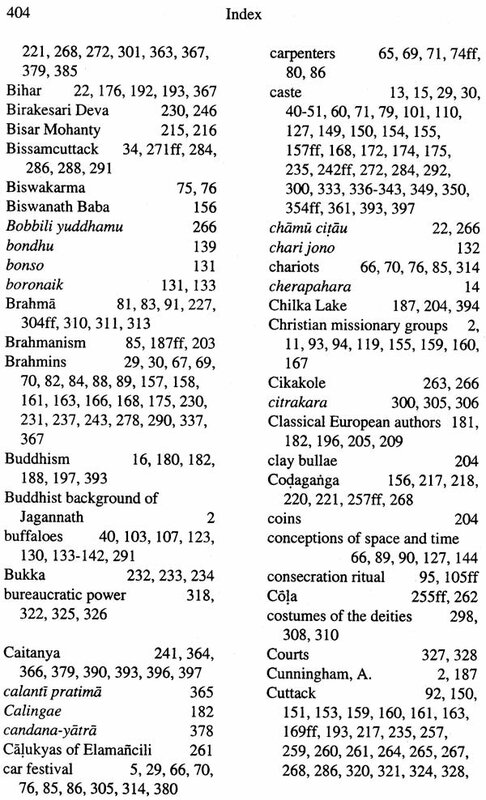 Although the proceedings of conferences and sometimes even their souvenir volumes contain contributions based on original research, the larger number is overwhelmingly repetitive and descriptive. Some of these publications have to be regarded as modern versions of Sthalapuranas or even Mahatmyas in praise of the all-pervasive greatness of Lord Jagannath. This is particularly true with the large number of small booklets published primarily in Oriya but also in other Indian languages and English and sold as tourist and pilgrim guides at Puri. 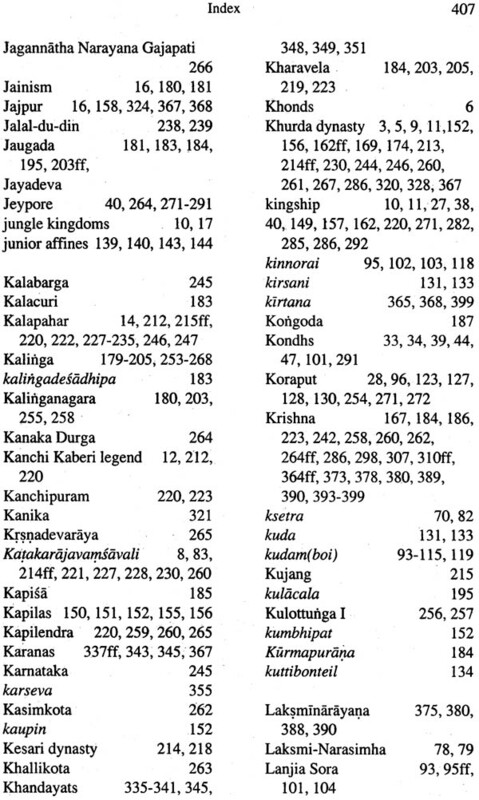 As they have by far the largest circulation of all Jagannath publications it would be fascinating to study their perception of the cult of Jagannath. It should suffice in our context to note that some of these publications contain short original research papers as well-" or refer in detail to research publications. An intrinsic value and function of all these'ritualized publications' is the construction and promotion of a 'Jagannath Dharma' -based consciousness and identity rather than promotion of research. But it would be wrong to separate historical research completely from literary imagination and construction. Not only post-modern literary discourses have taught us that they are two sides of the same medal. 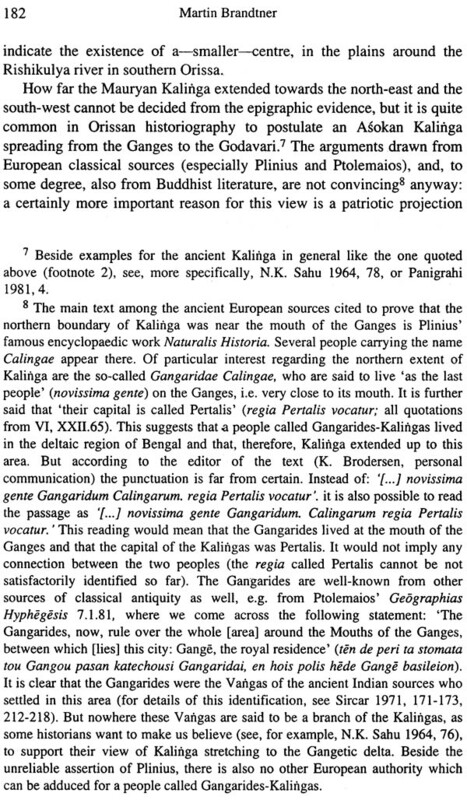 Another interesting aspect of Jagannath research is the contestation of his place of origin. B.M. Padhi and S.N. 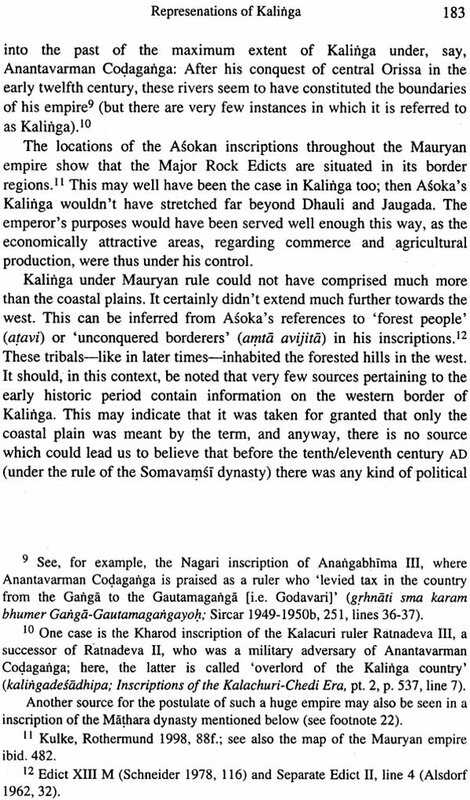 Rajaguru of Parlakhimedi fought vehemently for Jagannath's origin among the Sabara/Saora tribes of the Mahendragiri mountain region in south Orissa. They were followed by K.C. 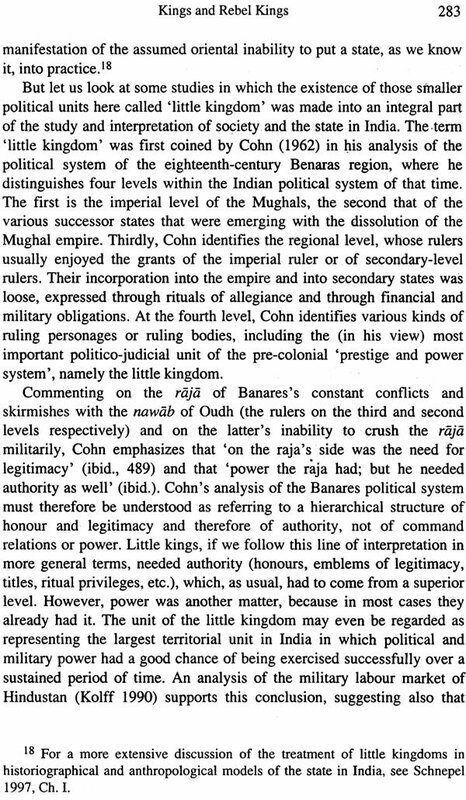 Mishra in his Cult of Jagannath. 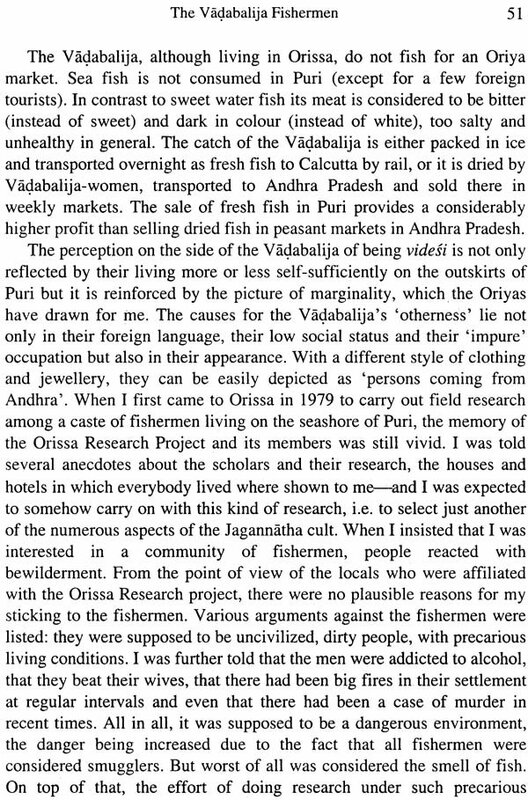 The ORP, and in particular the late Anncharlott Eschmann, came forward with the discovery of several peculiar relations between the Jagannath cult and religious practices of the Khonds in the Dhenkanal/Talcher region of central Orissa. Jitamitra P. Singh Deo, Yuvaraja of Khariar in Kalahandi district and a successful archaeologist on his own, claims, with reference to the highest authority, western Orissa as Jagannath's place of origin in a small monograph. The intermediate group of 'Jagannath researchers', too, has its roots in the works of the pioneer generation of the 'Oriya School' and in particular in K.C. Panigrahi's seminal historiographical studies on the medieval Oriya literature and traditional accounts and their relevance for the history of the Jagannath cult. However, they don't follow the 'holistic' research agenda of conventional Jagannath publications but take up special issues in the context of Jagannath studies, without however referring explicitly to contemporary discourses. To this group belong for instance Praphulla Kumar Mishra's recent work on Nabakalebara, G.N. Dash's studies on Orissa's famous Kanchi Kaberi tradition and on the Deula Tola tradition of the Daitas and Sudha Suaras of Puri, Kailash C. Dash's critical analysis of epigraphical and literary sources of the history of the Jagannath cult, the studies of the ORP by R. Geib on the Indradyumna legend, by von Stietencron on Jagannath's relation with the Narasimha cult and U. Schneider's translation and analysis of a hitherto unknown text of the Purusottama Miihiitmya. Another major contribution to these studies is G.C. Tripathi's Allahabad D.Litt. thesis on the daily rituals of the Jagannath temple which is based on a comprehensive analysis of Jagannath related manuscripts of the former ORP.